Where is my RSS feed? Each playlist in Omny Studio generates its own RSS feed. This means that all the audio and metadata associated with a playlist is what will display in iTunes and any other directories that are linked to that playlist’s RSS feed. 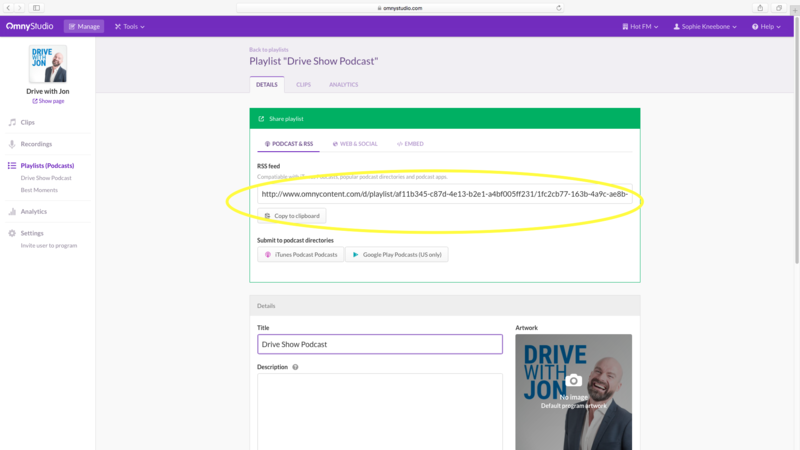 To find your Omny RSS feed, click on the playlist for your podcast on the left-hand side of the screen. Your RSS feed URL will be shown under the Details tab.